In 1949, the brand Abarth was registered in Turin, Italy. Its creator was Carlo Abarth, the former director of the racing team of the bankrupt automaker Cisitalia, and the investor Armando Scagliarini. They concentrated their attention specifically on specialized models, the main thing for which is to ensure a high speed and power of the car. Abarth’s emblem has changed several times over the course of its history, but the fundamental change – with the addition of a scorpion – was one thing. The primary simple logo quickly ceased to suit the creator, and Carlo Abarth was literally forced to make his logo more recognizable and, most importantly, more secure from possible fakes. After all, any brand that has won the trust of consumers sooner or later faces the need to protect its trademark and good name. 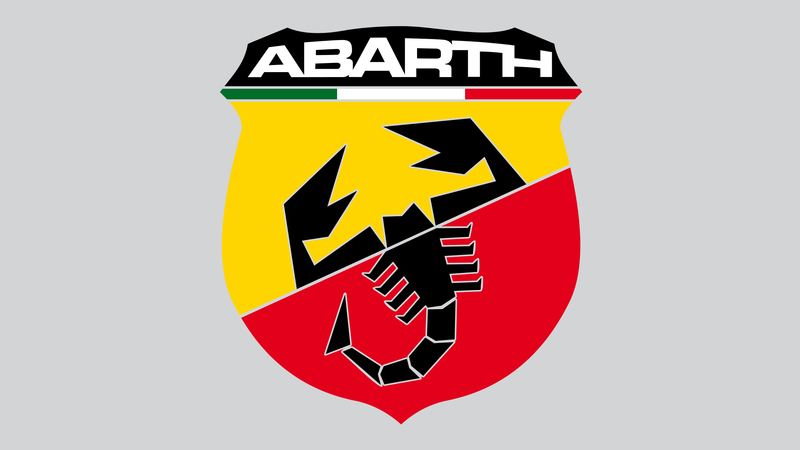 The Abarth symbol is a symbolic image of a scorpion on a red-yellow background, located on a shield. Shield, in turn, being an element of heraldic, means authority (reputation). As for the symbolism of the scorpion, this image reflects two meanings at once. The first concerns the horoscope: Carlo Abarth was born under the sign of Scorpio. The second is the special nature of this creature, which achieves its goal at all costs and does not hide its own danger for others. For the Abarth logo, the original font was developed. Initially, the text element was the central element of the logo, but later the stylized scorpion took its current place at the intersection of two color fields, and the font became more reserved and compact. The color solution of the Abarth logo is very symbolic. The image uses red, green and white colors, the colors of the national flag of Italy. In addition, red and yellow colors have a specific meaning in the automotive world, symbolizing the race at high speed. It is this combination of colors used as the background on which the scorpion is located.